A look at the The Lobby in 1896 (left), and 2014 (right). 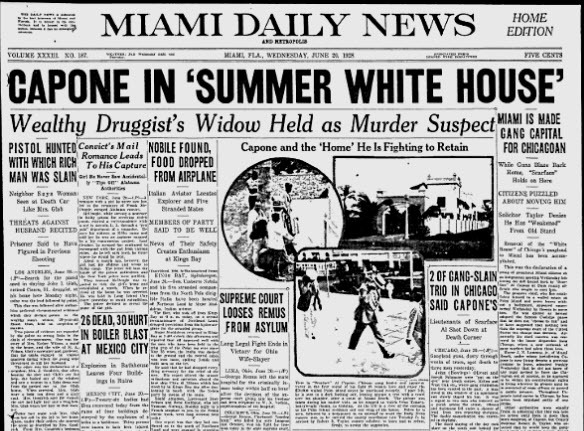 While the City of Miami has evolved and grown tremendously since its birthday on July 28th, 1896, its birth place experienced a far different fate. 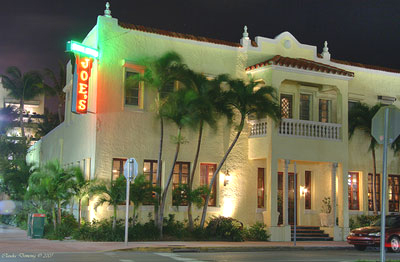 The proceedings to incorporate the City of Miami took place on the second floor in a wood frame building in Miami’s first business district. Avenue D, which later was renamed Miami Avenue, was the hub of activity during the building of the new city located on the shores of the Miami River. In particular, the north side of the Miami River represented the terminus point of the FEC Railroad extension and the building of Flagler’s iconic luxury destination, The Royal Palm Hotel. It was only natural that when it was time to incorporate, a building on the north side of the river would be selected for the meeting place and vote location. During the announcement for the meeting to agree on the specifics of incorporation in June of 1896, the Metropolis called for a gathering “at the room over The Lobby”. The Lobby was referencing an early Miami business with the full name of “The Lobby Pool and Billiard Parlor”. The first, single story, location of The Lobby Pool Hall. On May 15th in 1896, the Miami Metropolis wrote an article describing some of Miami’s early businesses. One of those businesses was owned by Willis M. Myers, proprietor of the Lobby. Myer was one of the first businessman in Miami. He was considered “foolish” for starting a pool room in a place that, less than a year earlier, was a desolate outpost. However, Myers knew that those arriving by the droves, to help build the new city, would need a place of entertainment after their work day. Myers was right. The Metropolis described his business having a “crowd at his place every night”, and that “he must be coining money”. The exact building of The Lobby in June and July of 1896 was a point of confusion for many years. A picture of a single story wood frame building was offered as the place of incorporation in an article in the Miami Herald on January 29th, 1939. The caption of the photo claimed that J.M. Graham provided the picture, and stated that the photo “was taken a short time before Miami’s incorporation”. The Lobby Pool Hall, two story location, where Miami was incorporated in 1896. The photo of the single story building certainly could have not been the location of either the meeting on June 17th or July 28th (1896), given that the announcements specified meeting on the second floor of The Lobby. Based on research done by Larry Wiggins for an article that appeared in the 1995 edition of “Tequesta”, it was determined that the single story building was an earlier and short-lived location of The Lobby. 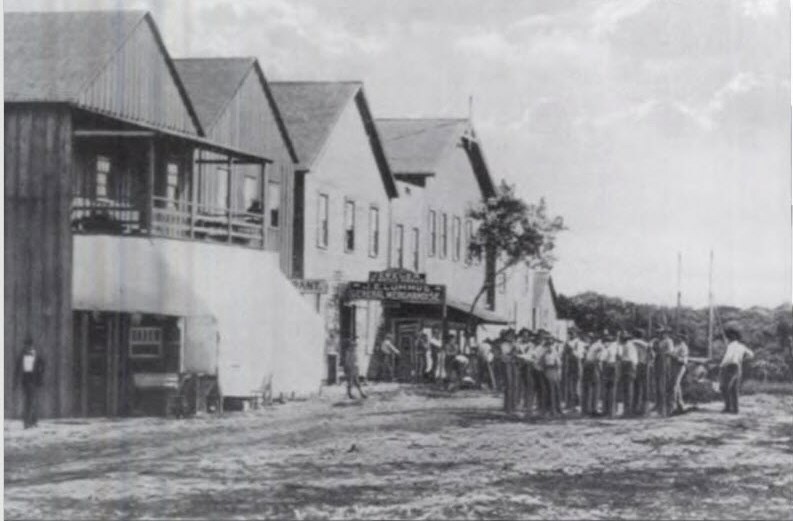 Just prior to the meetings to organize and then vote on the incorporation of Miami, The Lobby moved to the first floor of a two story building on Avenue D. It was the two story location of The Lobby that the Metropolis referred to in the announcement for assembly in both June and July of 1896. Therefore, the picture provided in 1939 was of the earlier location and not the actual location of incorporation. It is unclear why Myers relocated his pool room so quickly after he started the business, but what was clear was that both buildings were owned by Julia Tuttle and were leased to Myers. The move may have been due to success of the business beyond Myers’ original expectation. While there was never a written explanation on what necessitated the move, one can only speculate. Both buildings were located along the east side of Avenue D. The two story building, the location of incorporation, was closer to the river than the single story building. It also was just south of the railroad spur leading to the Royal Palm Hotel. Therefore, the two story building was south of the earlier single story location of The Lobby. The Lobby looking north to south. The Lobby is the building with the lightning rod. Not only was the first location of The Lobby Pool and Billiard Parlor short lived, so was Myers’ ownership of the establishment. 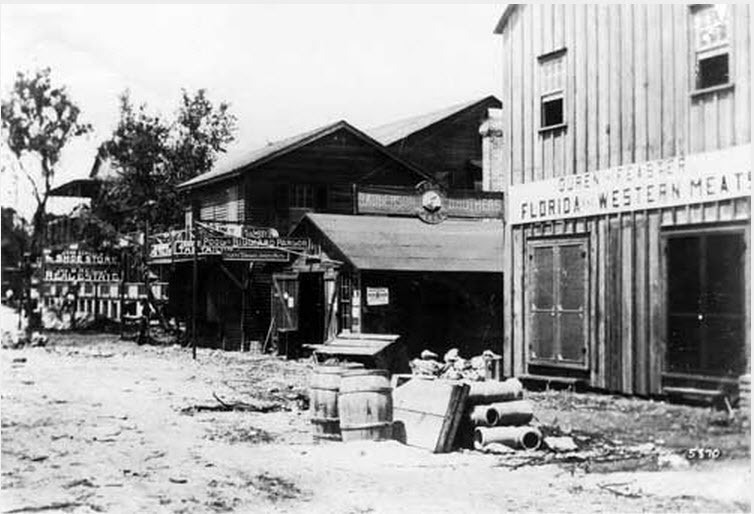 He sold the business to H. J. Burkhardt in June of 1896, around the time for the call to incorporate the City of Miami. Burkhardt ended up closing the pool hall by July 10th in 1896. However, the building continued to be referred to as “the Lobby building” and was used primarily for large meetings. By the opening of Julia Tuttle’s Hotel Miami on January 22nd in 1897, the Lobby building was adjacent to the southern end of the new hotel. Julia Tuttle was hoping that the Hotel Miami would be the first land based hotel on the north side of the Miami River. Prior to land based hotels, there were floating barges providing accommodations for workers that were helping to build the new city. However, due to delays in the completion of her hotel, several other hotels opened prior to the opening of Hotel Miami. By August of 1899, P. C. Hainlin leased the lower floor of the Lobby Building to open a steam laundry business known as “Magic City Steam Laundry”. However, a few months later, everything would change for Miami’s birthplace. During the fall of 1899, there was a severe Yellow Fever epidemic in the young City of Miami. It was believed to have originated in the Hotel Miami and as such, the hotel became ground zero for much of the effort to contain the epidemic. At one point, the city was closed to anyone that had not shown any symptoms of the disease. Upon containment of the epidemic, an explosion of a blue flame oil stove caused a fire to break out in the Hotel Miami on November 12th in 1899. Given that the hotel was a large wood frame building, it was a tinder box for the fire that spread rapidly after the explosion. By the time the volunteers helped put out the fire, the hotel was left in charred ruins. Also, because the buildings surrounding the hotel were also wood frame, they suffered the same fate as the Hotel Miami. As mentioned earlier, one of those adjacent structures was the Lobby Building. Unfortunately, a little more than three years after the City of Miami was incorporated on its second floor, the Lobby building was left as nothing more than a pile of ashes. While the building that Miami’s incorporation took place was short-lived, the land on which is sat was commemorated during the 100th year celebration of Miami’s beginning in 1996. 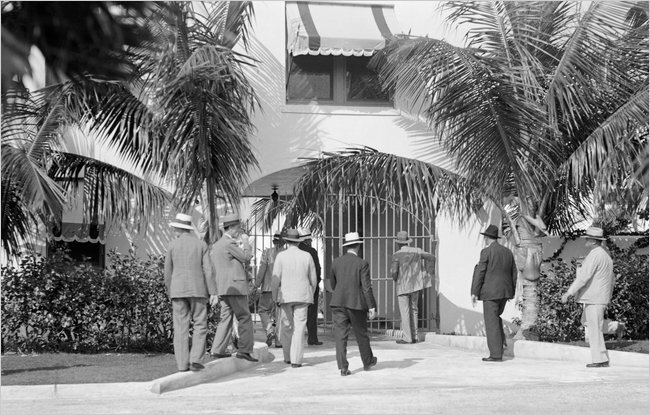 Around the time of the celebration, a palm tree was planted at the exact location of the Lobby Building to honor Miami’s place of incorporation. While it may require careful navigation to avoid automobiles during heavy traffic, Miamians of today can visit the location of where the Lobby Building formerly resided. On the curve, where South Miami Avenue and Southwest Third Street meet, one will notice a small landing in the middle of concrete and asphalt. In the center of this landing stands a palm tree that honors a long forgotten, but very significant, building in Miami’s history. The Lobby building is long gone, but it will always be remembered as Miami’s birthplace. A then and now photo of The Lobby location in 1896 (left), and the same location in 2014 (right). Tequesta Magazine: “Birth of the City of Miami” by Larry Wiggins in December of 1995. The Miami News: “Miami: The Way We Were, A city is born … over a pool room” by Howard Kleinberg on July 28th, 1984. 2 Comments on "Miami’s Site of Incorporation – From Pool Hall to Ashes"
That lightning rod looks like an antenna for a radio set. We had one on our house before TV became common.